Although is still the celebrated hero of millions of Brazilians and was ahead in the polls, the former president Lula da Silva cannot participate. The decision does not come wholly unexpectedly though it remains to be seen whether the Workers’ Party can push the Supreme Court to rule before the cut-off date of 17 September (last day they can present a candidate). Lula has been serving twelve years in prison for corruption and money laundering since April. According to the ‘Clean Hands’ law, which he himself signed during his presidency (2003-2009), a person sentenced for corruption cannot participate in elections. The ruling of the Electoral Court means that millions of voters are now without a candidate. Various polls stated that almost forty percent of the electorate still have a preference for the man who, with his social programs and the exploding economy during his presidency, pulled a large part of the Brazilians out of poverty. His second in command, former mayor of São Paulo Mr. Fernando Haddad, is hardly known or loved. Lula's Workers' Party PT now has ten days to present an official new candidate. During that time, the former president may not be seen as a candidate in the campaign and in the political election spots which will be aired as from today. Without Lula, a new phase in the campaign begins. The socialist former president was the predicted winner of the elections on 7 October. Without him, there are suddenly opportunities for the center-left 'green' candidate Ms. Marina da Silva, who was already doing well in the polls and will certainly benefit now that Lula seems played out. Also the center-right candidate Mr. Geraldo Alckmin, who did not do very well in the polls, but has a lot of money and with that, a lot of TV air time could benefit. 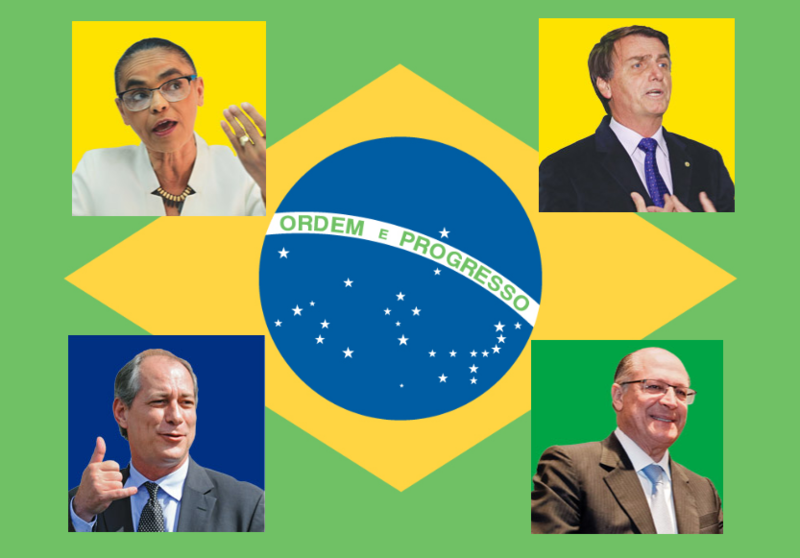 They are the main candidates to compete in the second round against the right-wing Catholic conservative candidate Mr. Jair Bolsonaro, who in the polls always seems clear of a second round place now.